1. 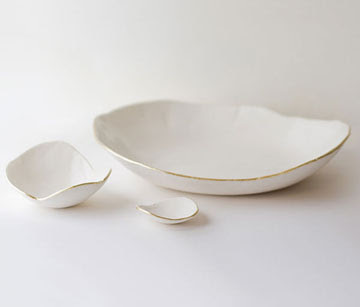 Gold Lip Platter from Up in the Air Somewhere. 2. 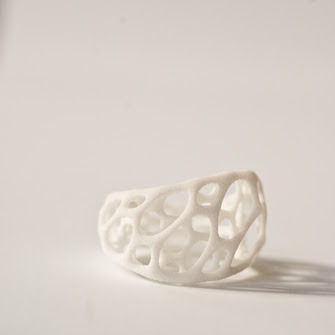 2-Layer Twist Ring by Nervous System. 3. 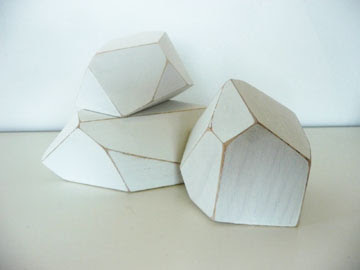 Faceted Wooden Rocks (in white) by Kindling.